Ahoy! Welcome to another edition of Disney’s Hidden Gems. Today’s focus, The Pirates League, has been around for several years, but is still not a commonly known experience. The Bibiddi Bobiddi Boutique has quickly become a must-do for so many guests travelling with little princesses. But what about the pirates travelling with them? Or what if your little princess is less interested in tiaras and is more into bandanas and eye patches? 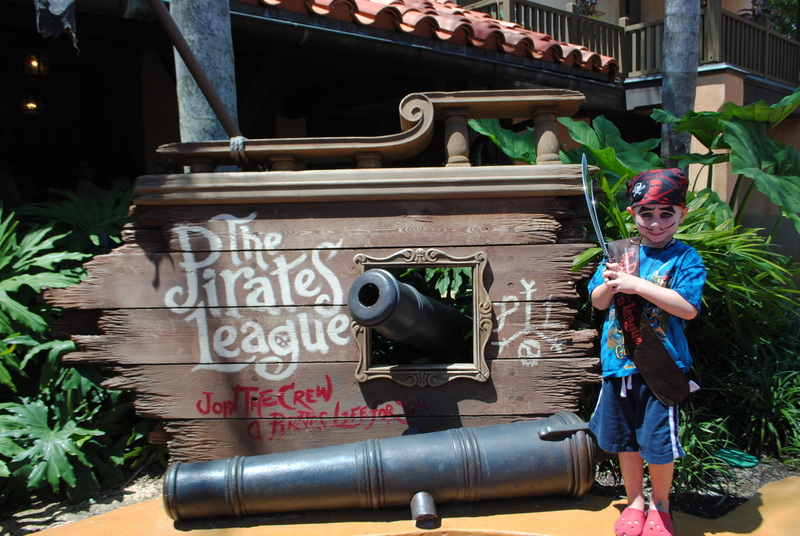 The Pirates League – located in Adventureland in the Magic Kingdom and New Orleans Square in Disneyland Park – is your answer. Upon entering, soon-to-be-swashbucklers are welcomed and given their new pirate name, which is retrieved from a large leather-bound book. 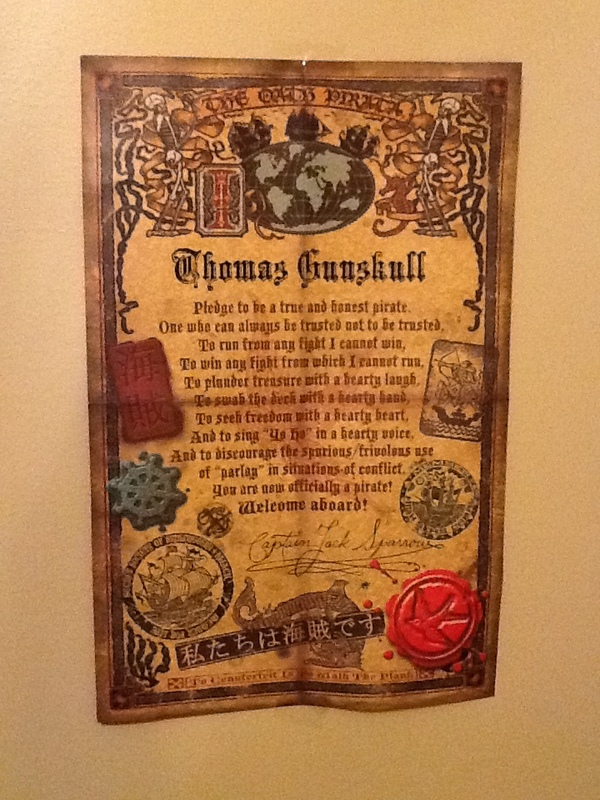 This is a fun and interactive beginning to the experience and it is memorialized with a certificate proclaiming the new moniker. After the naming ceremony, the buccaneer makes his or her way into the main room, where pirate specialists are on hand to transform your little one (or you – adults are welcome as well!) into the newest member of Captain Jack’s crew. At $29.95, the Empress and First Mate packages include the facial effects (make-up), bandana, eye patch, sword, and various other goodies. At $44.95, the Jake and the Neverland Pirates package will transform your little one into the main character of the popular Disney Junior show. This includes faux hair and bandana, Jake facial effect, sword, costume t-shirt and the goodies. At $74.95, the Mermaid package includes mermaid makeup, hair styling, hair clip, necklace, nail polish, sash and costume t-shirt and tutu. After the marauding makeover, the new pirate enters a secret chamber where they pose for a picture, which is available for an additional cost. The final part of the experience happens later in the day. Every afternoon, there is an Adventureland Pirate Parade and all of that day’s newest crew members are welcome to participate. Overall, this is a fun and unique experience. Make sure you call ahead of time to reserve your time: (407)WDW-CREW, or have your travel agent make your reservation.